This dish is FULL of flavor! I admit it…I don’t LOVE chicken. I like it in certain dishes, but on it’s own I think it is sort of…boring. That said, I love this dish. 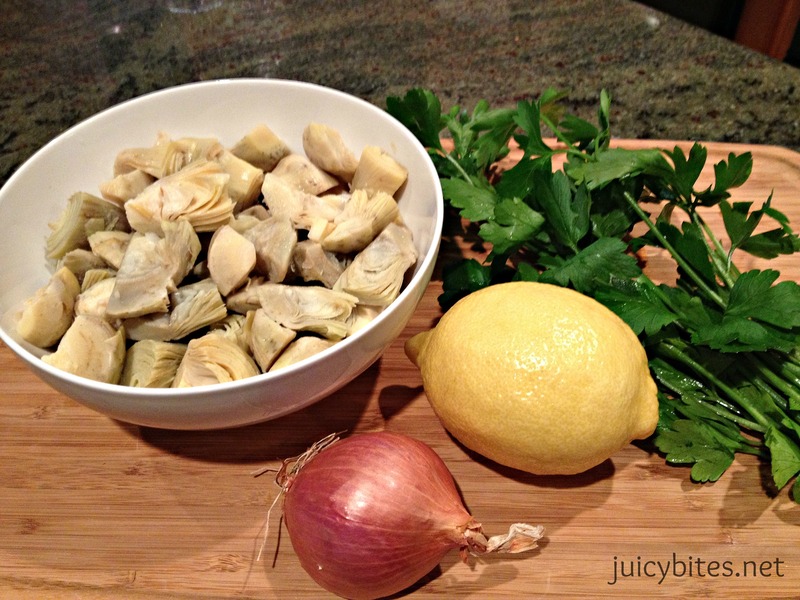 The lemon gives it great flavor and I really love artichoke hearts. 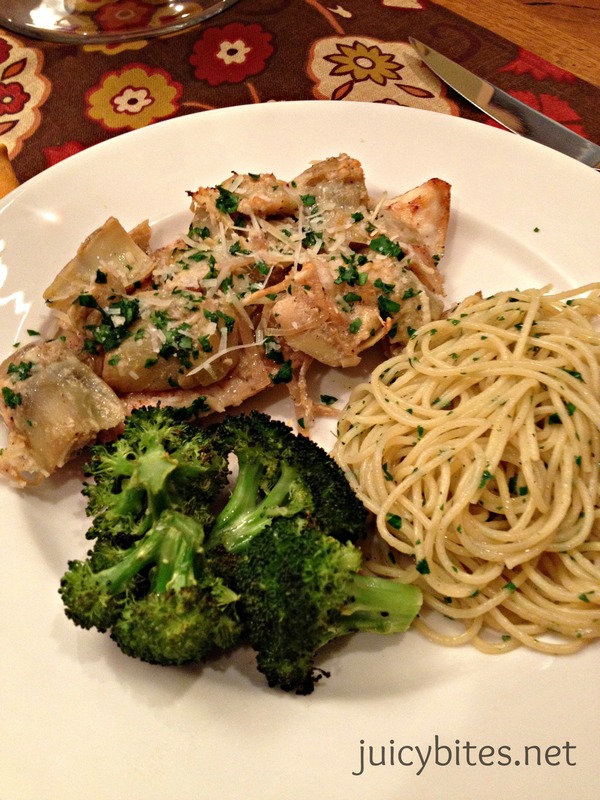 It’s pretty simple to prepare and it is a hit with my food critics (husband AND children)! Any dinner that my whole family loves is a keeper! The ingredients in this recipe are simple. 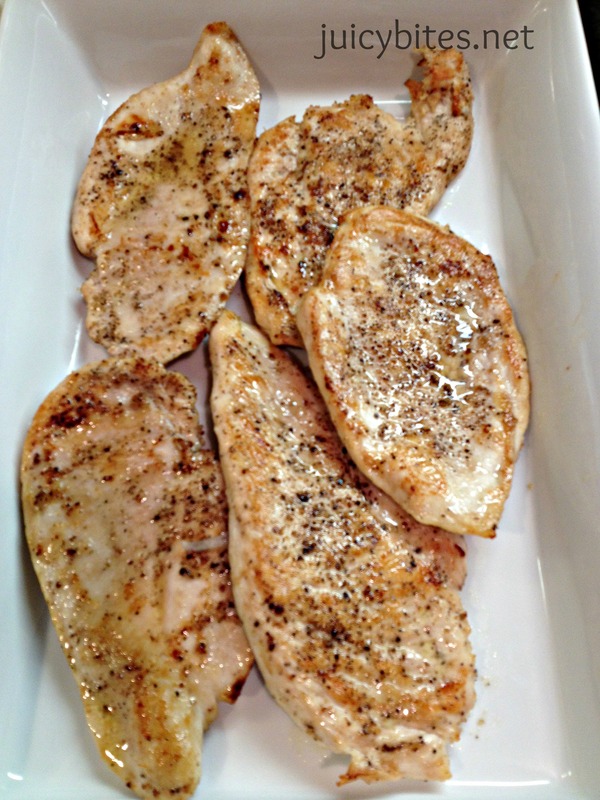 You need boneless, skinless chicken breasts. I like the “thin sliced” breasts. They cook even and stay nice and tender. If you can only find regular breasts, you can pound them between plastic wrap to get them a little thinner. I use frozen artichoke hearts. Canned will work too, but I prefer the texture of the frozen a little more for something like this. 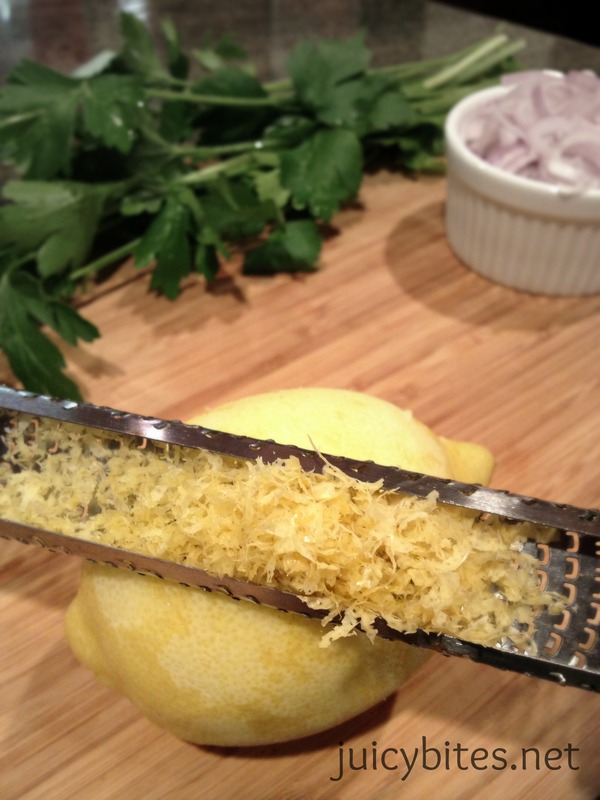 All of the flavor comes from the lemon zest and juice, the shallots, and some minced garlic. Oh yeah…a little white wine helps too. I cook with citrus zest a lot. You get so much flavor from it. My favorite tool to use is a microplane. Just be sure to grate ONLY the zest, not the white pith which is bitter. Also, make sure you wash store bought lemons really well with some warm water. Citrus is often coated in wax and you want to try and clean that off before zesting. 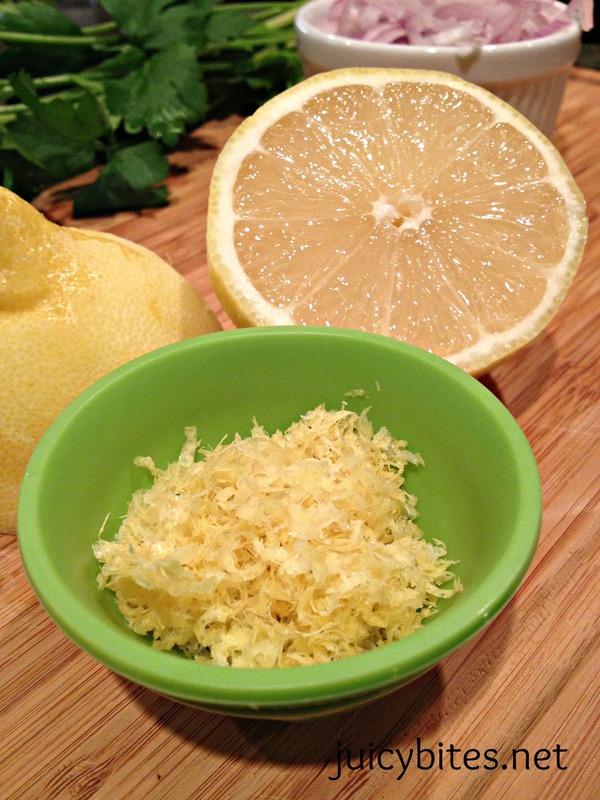 The great thing about lemon zest is that you get the bold lemon flavor without too much of that “tart” lemon taste. You start by browning your chicken in some butter and olive oil. You don’t want to cook it all the way, it will finish in the oven. It goes from the pan to a baking dish where it awaits the delicious lemony artichoke topping. 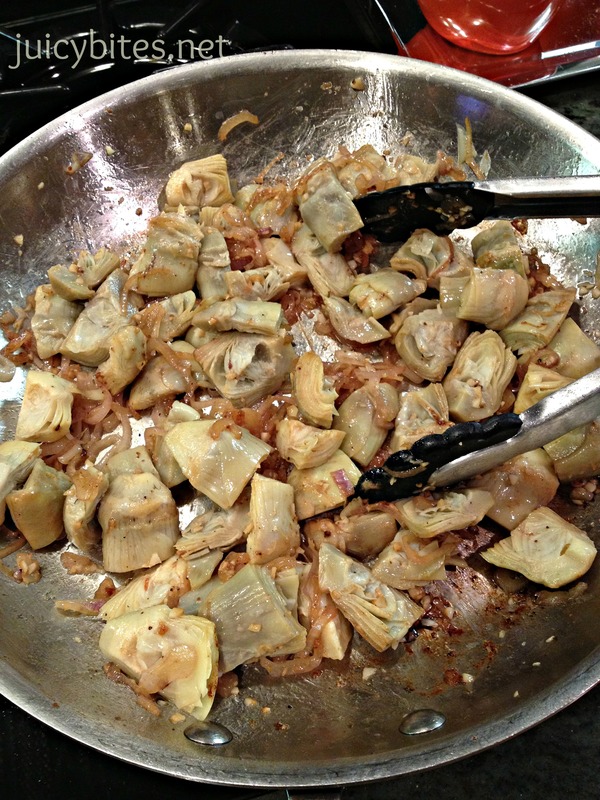 You saute the shallots, garlic, and artichokes in the same pan. Deglazing with some white wine ensures that you get all of the good flavor from the pan that has been left from browning the chicken. 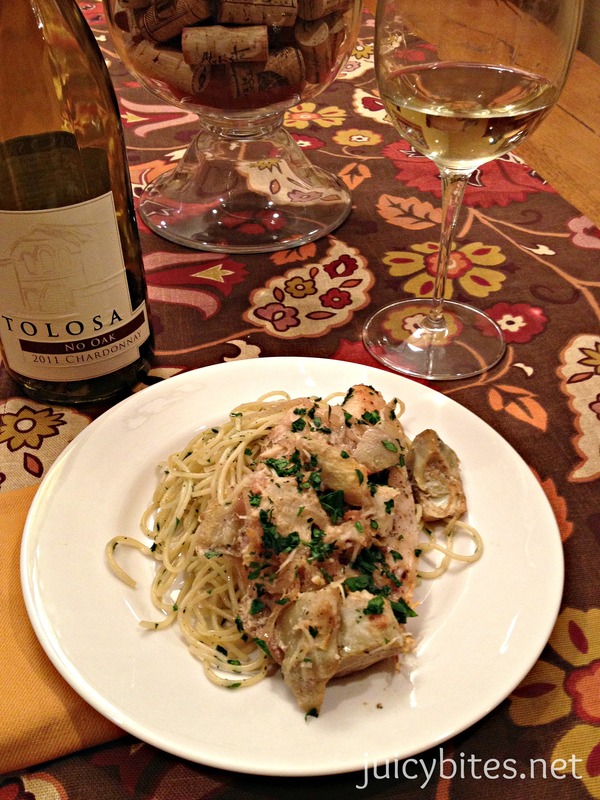 I served the chicken with some thin spaghetti that I tossed with a good olive oil, fresh chopped parsley, and salt & pepper. It is the perfect side to soak up the extra sauce that you get from the chicken. You could also serve it with rice or quinoa. For a vegetable I roasted some broccoli with olive oil, salt & pepper. Roasted broccoli is probably my kids favorite veggie. This is a simple enough dish for a weeknight dinner, but it is also the type of meal you could cook for company. You could easily double it and use a bigger baking dish. It would definitely impress your guests! Don’t forget a good chardonnay to go with it :). 1. Preheat oven to 375°. Sprinkle chicken on both sides with salt and pepper. In a 10-inch frying pan over medium-high heat, melt the butter with the olive oil. Add chicken in batches and cook, turning once, until browned on both sides, about 4 minutes per side. Transfer chicken to a 9 x 13-inch baking dish. 2. Lower the heat a little and add the shallots to the pan (add a little more olive oil if you need it) and saute for about 5 minutes. Add the garlic and artichoke hearts and saute a few more minutes. Add the wine and scrape up any bits from the bottom of the pan. Add the lemon zest, lemon juice, about 1/2 teaspoon of salt and some fresh ground pepper, and the heavy cream and mix well to combine. 4. 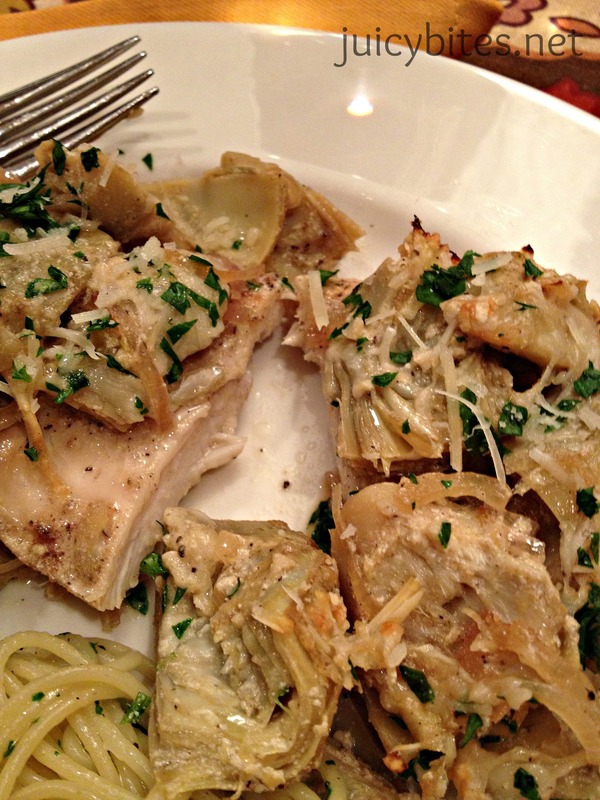 Pour artichokes and sauce over the chicken. Sprinkle with the parmesan cheese and bake for about 15 minutes. You can turn the oven to broil for just a minute or 2 at the end to brown the top a little.